I’m feeling..excited. May is just one of the best times of the year. Why? Well for starters it’s finally warming up, and my toes are beginning to defrost from what felt like the longest Winter in history. I am in fact a May baby and happen to love birthdays. Cake, balloons and possibly a banner, what’s not to love? There’s also a lot of joy in receiving cards through the post, everything’s so fast now it’s nice to have something so traditional that hopefully will never change. I intend to mark the occasion with a large dose of sugar, a side of alcohol and a sprinkling of regret. Can’t wait. I’m happy to be getting older. With each year I honestly feel as if I’m getting happier. (It’s a combination of becoming a parent, a change in attitude, and a genuine disinterest in what other people think). To quote Oprah “You’re not the same woman you were a decade ago; if you’re lucky, you’re not the same woman you were last year. The whole point of aging, as I see it, is change. If we let them, our experiences can keep teaching us about ourselves. I celebrate that. Honor it. Hold it in reverence. And I’m grateful for every age I’m blessed to become.”. Amen. With a new month comes a new resolution. This particular resolution is probably my favourite yet, one that I am incredibly keen to enforce, possibly more so than any other, and that is: to make more time for reading. The Conscious Parent (All very spiritual, mindful parenting and how we change and grow with our children, unlike any parenting book I’ve come across yet..full review to come). 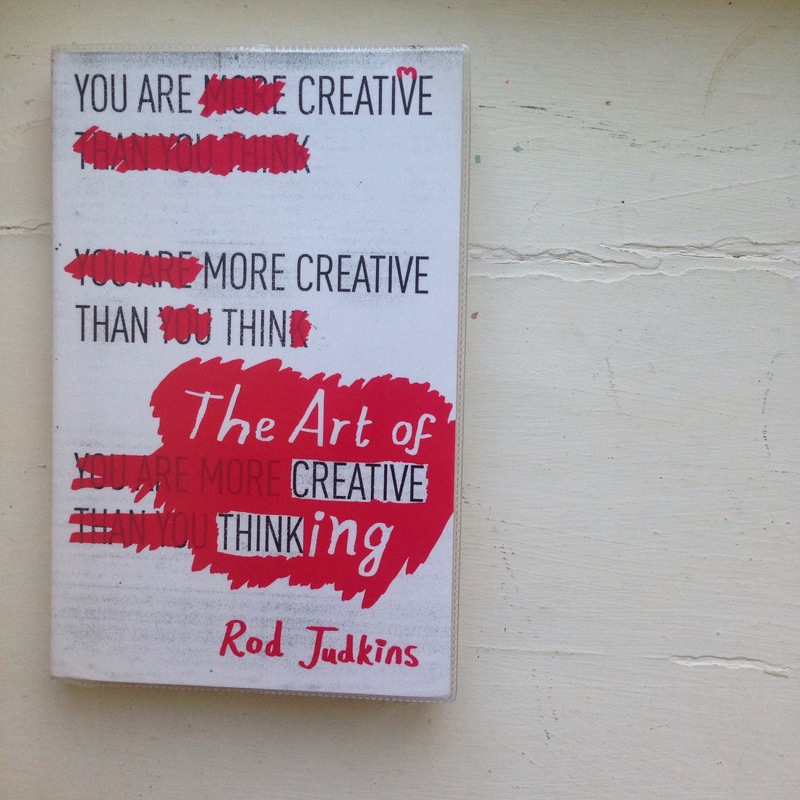 You Are More Creative Than You Think (Fantastic read, lots of useful straight-to-the-point advice and inspirational anecdotes). Twelfth Night – For a monologue I’m doing in Drama class. Although Shakespeare still feels a little like another language (the translations at the bottom of each page are a God send), I have to say I’m really enjoying reading this play. There’s a lot of humour, and something really wonderful and special about reading something written by the literary genius. What I Know For Sure – I actually finished this a few months ago but always find myself referring back to it every few days. Full of wisdom and positivity, and comprised of Oprah’s short essays on Joy, Resilience, Connection, Gratitude, Possibility, Awe, Clarity and Power. I felt the urge to order multiple copies and distribute them to friends and family. I hope to get through the first three before my wandering eye lures me to the next selection. Happy reading! 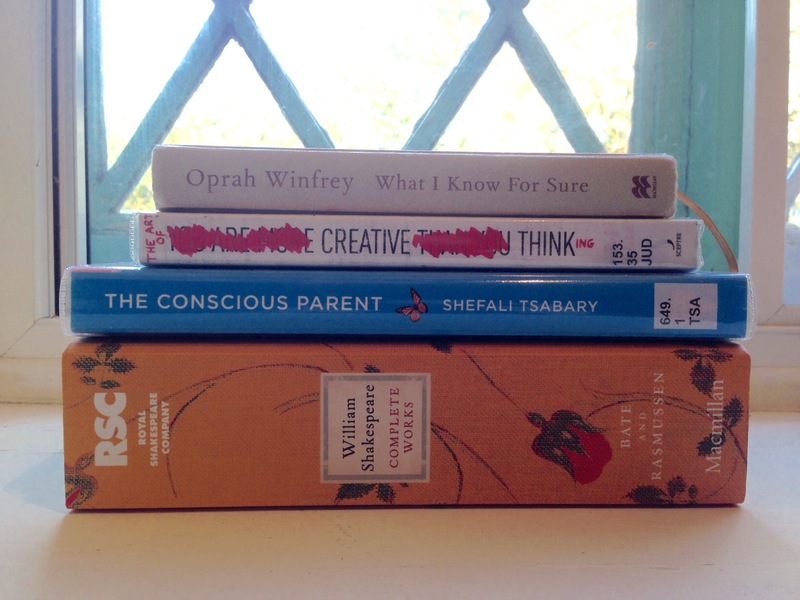 Posted in A COLOURFUL LIFE and tagged birthday, books, gretchen rubin, happiness, happiness project, happy, LIFE, lifestyle, motherhood, mummy, oprah, plays, shakespeare. Bookmark the permalink. Confessions of a Single Mother: Will She Need Therapy? !